The Book of Life is a film the more I’ve thought about the more forgiving I have become about its weaknesses. There are certain aspects to the story that could be better but one thing I never had any doubt on was the film’s magnificent artistry. 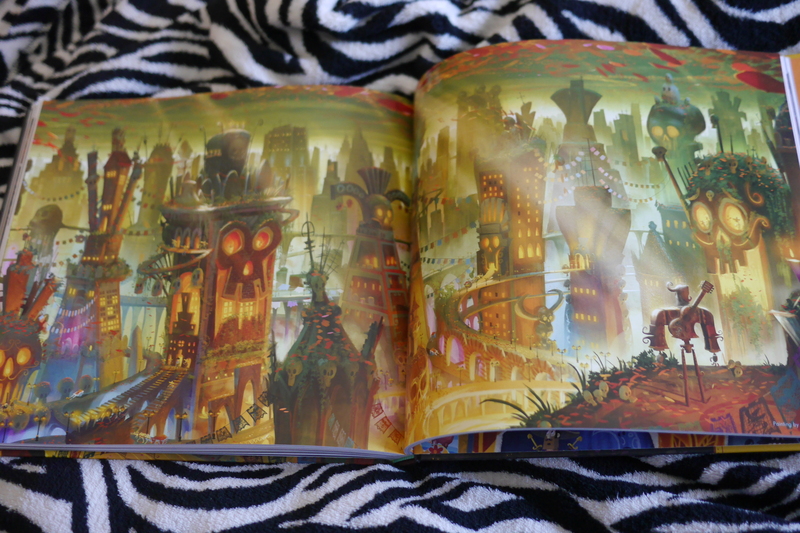 Jorge R Guitierrez’s amazing visual palate and vision is incredible to watch and so I had to pick up the art book as soon as I could lay my hands on it! 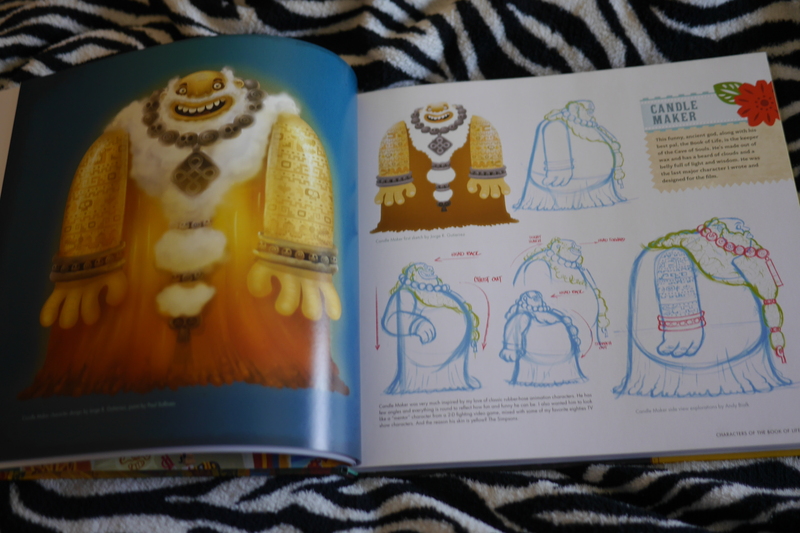 I always like art books where you can tell there is a real affection for the film on the part of the creators. Such is the case with the Book of Life. It starts with a forward from producer Guillermo del Toro. He talks about meeting Guitierrez and that his ‘enthusiasm was overwhelming’. These are the kind of people I want making movies! Next we get an introduction by Guitierrez. It’s really cool because he talks about he loves art books and he says “And now, I swear by the blood of my ancestors, this film and this book are one! THIS I SWEAR! 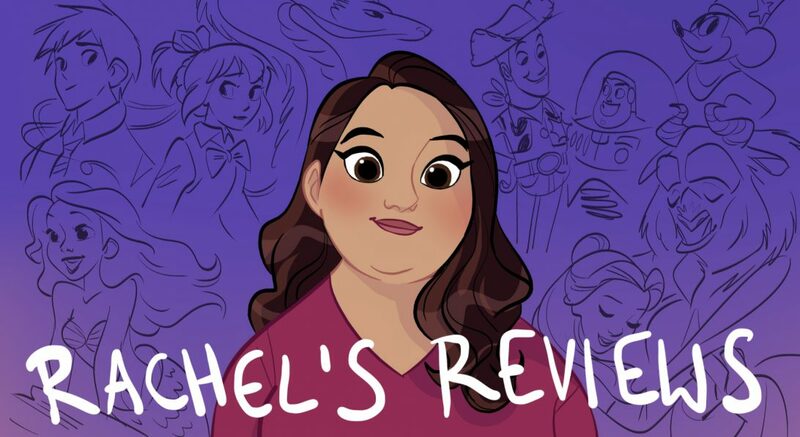 In fact, it was my intention from the start to have our beloved film look exactly like the art in these pages….We poured our heart and ouls into the art in your hands. 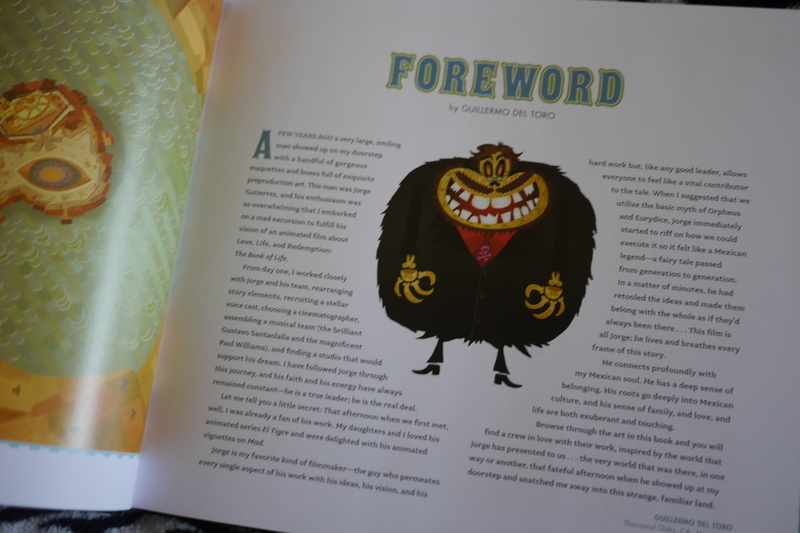 And little spicy salsa….Now go enjoy the spicy art in this book. We made it just for you and all the little mustachioed kids all over the world. We are the Book of Life”. I love that! The first chapter is about characters. We get the evolution of the characters which I always like to see and it’s not just the big characters but every last one of them. 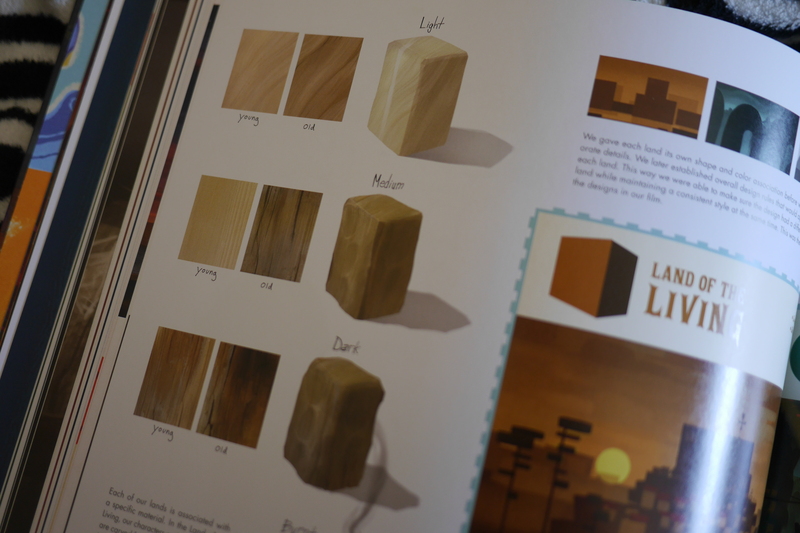 It is also really cool to learn about details like the colors of the wood in the characters designated what spirit world they are in and how old they are. 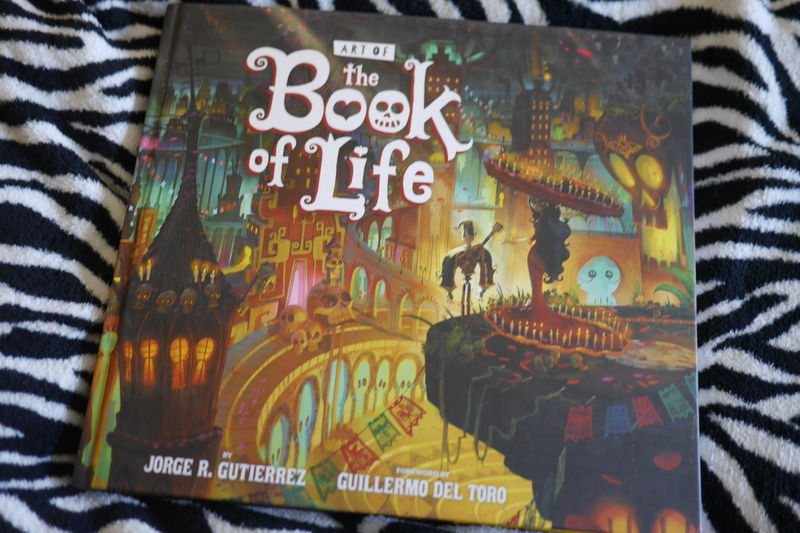 Chapter 2 is about the world-building and is entitled “the Making of the Book of Life”. I really like how they lay out the different ingredients that make up each world. The Land of the Remembered contains- skulls, hearts, flower petals floating upwards, plant life and growth, 15% square shapes, 80% circular and 5% triangular. The Land of the Forgotten contains- stalactites, stalagmites, ash, charcoal trees, giant chains, 5% square shapes, 5% circular, 90% triangular. Isn’t that interesting? I would never have noticed all the triangles in the Land of the Forgotten! 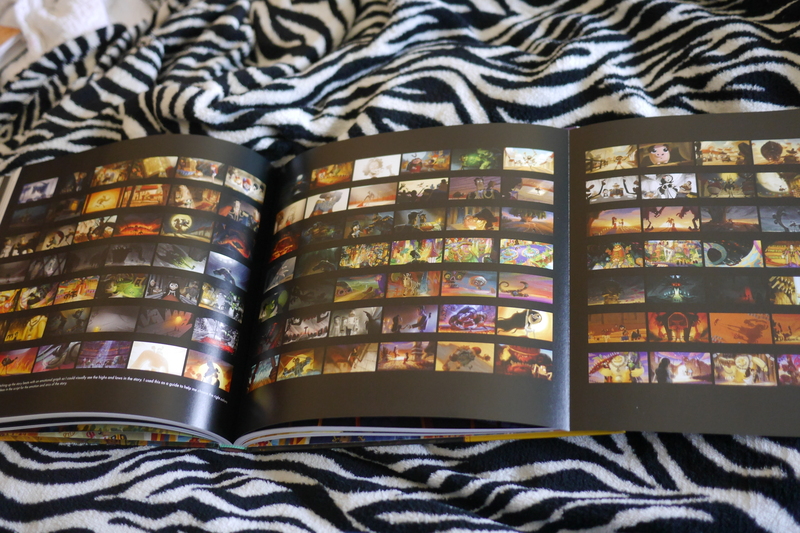 Each page in this section is full of storyboards and concept art including a fold out page that becomes 3 pages of storyboards! The final chapter focuses on each of the main locations. We get to see the incredible detail in buildings like the chapel and bull fighting ring. I loved seeing all the matador posters they made. 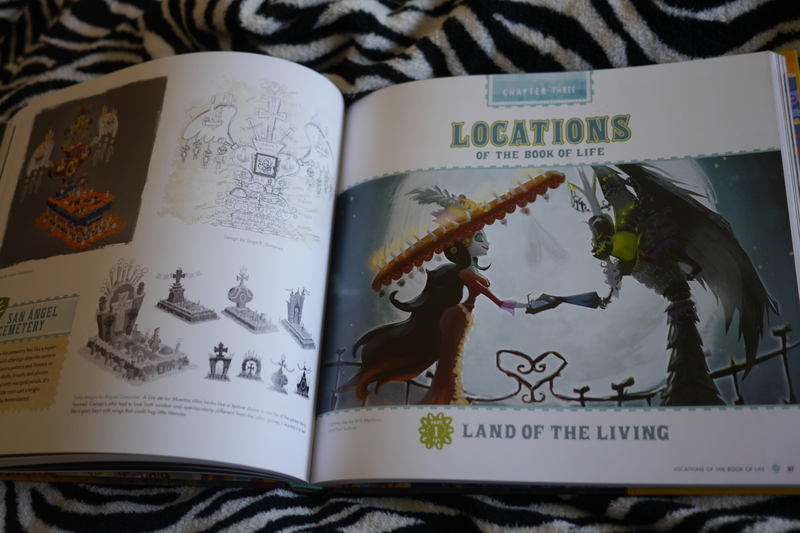 And all the detail about the Land of the Remembered is worth the price of the book! The final segment is a brief Afterword by art director Paul Sullivan about the collaborative process with Reel FX who I don’t think get enough credit for this film. It certainly is a huge step up from their first film Free Birds. 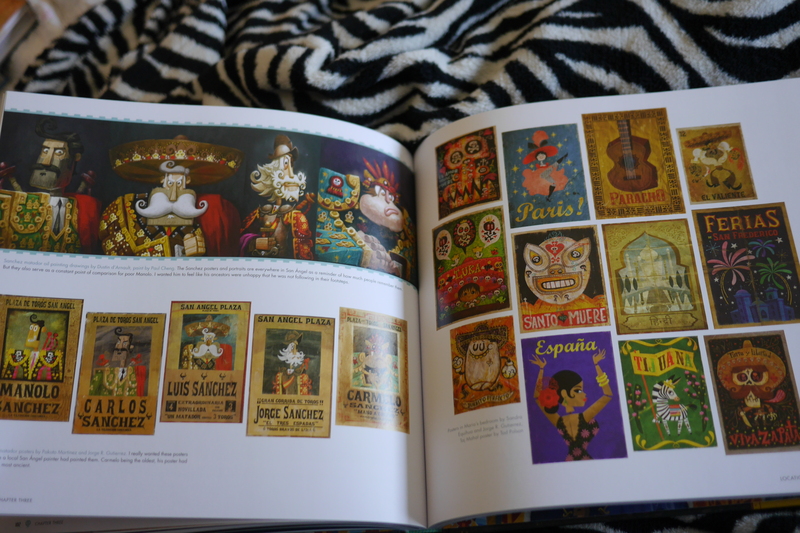 This Art of Book of Life is a special book because it helps you see the passion that goes into a film. I guess I particularly appreciate it because it was a film I was maybe a little harsh on the first time I saw it. Those problems are still there but I think I always saw the beauty and passion that went into it. It just makes me appreciate it a little bit more. I’m glad I own the book and would recommend it to all of you!